44 x 1.2cm Black Matt angled Suit hanger with notches and bar. Includes a chrome hook. This hanger is 44cm (440mm) wide. Sold as a box of 100 hangers. 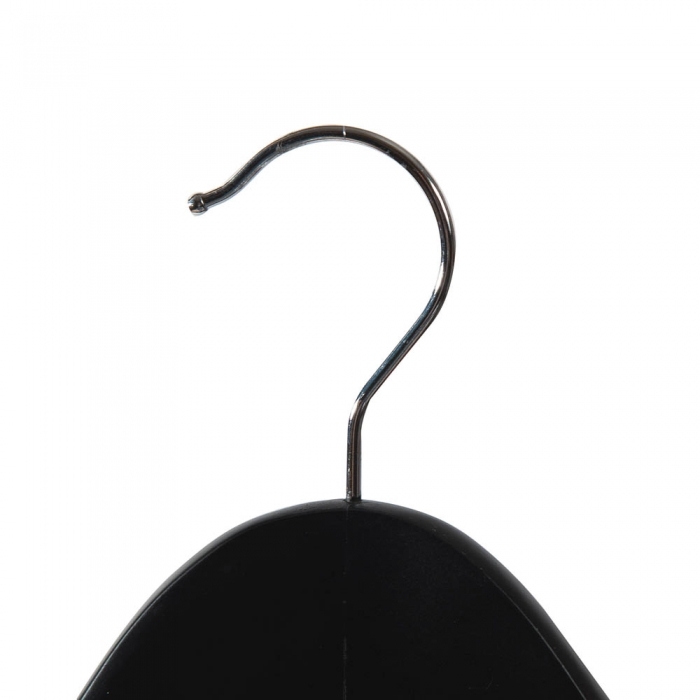 Angled coat hangers are ideal for jackets, as they support the shape of the jacket and display it to advantage. However, they can also be used as a general tops hanger (for shirts and blouses), while the notches sunk into the shoulders mean it can be used as a skirt hanger or to hang ladies suits or 2 piece outfits with top and skirt. 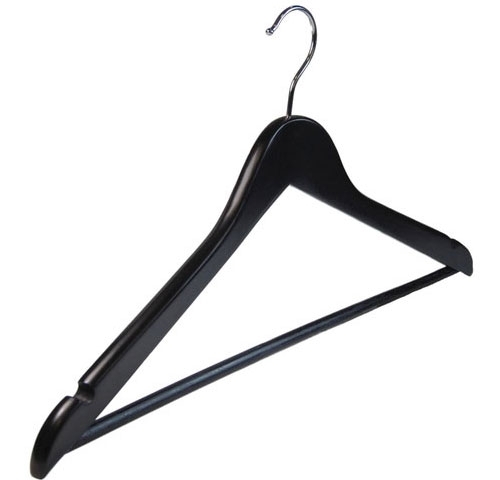 Not only that, this angled hanger has a bar as well, so it can be used for ladies or mens jacket and trouser suits. With this extraordinary value and versatility, it’s no surprise that this is one of our most popular hangers. It’s the workhorse hanger for many of our retail customers and for the domestic wardrobes alike.